Disney World in May can be great. 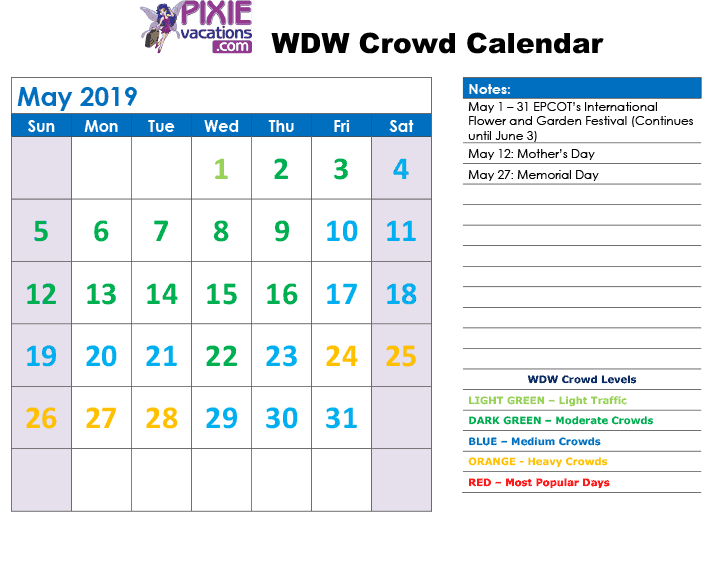 When you look at the predictions on the Disney crowd calendar, you can see the first few weeks are mostly GREEN. Green is good. May offers vacations in Florida that are sometimes not too hot, Spring break crowds are gone and the month of May is pretty ho-hum. Just remember to avoid Memorial Day crowds and the days prior and after where families decide to takes these as an extended holiday for a vacation at Walt Disney World. May has turned out to be a great month for Disney World vacations. It does get warmer in May, but your crowds start to slow down and the first few weeks in May historically have had lower crowds. May 1-17 are ideal for a Disney vacation with some lower crowds if history repeats itself. The highest crowds for May have been around Memorial Day weekend and the days before and after this holiday. If you can avoid Memorial Day dates from May 24-28 that would be ideal. 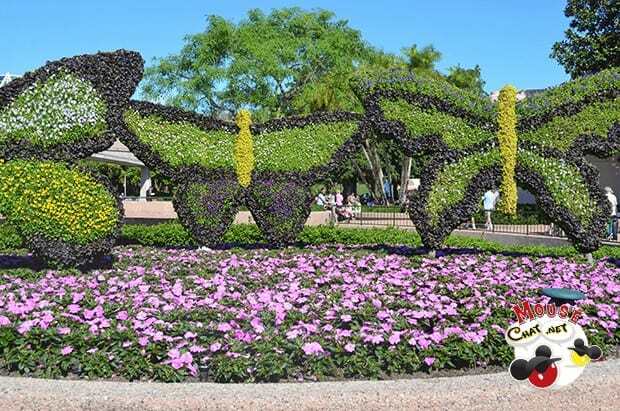 Yes the Epcot International Flower and Garden Festival is still continuing into May and goes on all month long. This Epcot festival has some interesting food books, entertainment, kids playgrounds and a butterfly house. The gardens are amazing and the flowers and topiaries all make for perfect photos. Star Wars fans usually have a celebration on May the4th. Get it? May the 4th be with you. These special events take place at Disney Hollywood Studios. Star Wars Galactic Nights has also taken place in late May in the past. 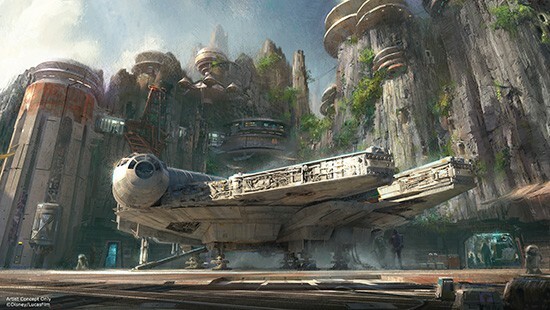 With Star Wars Galaxies Edge opening in Fall of 2019 at Walt Disney World I am sure we will see more Star Wars Fan events and crowd shifts for the Disney World parks in 2020.